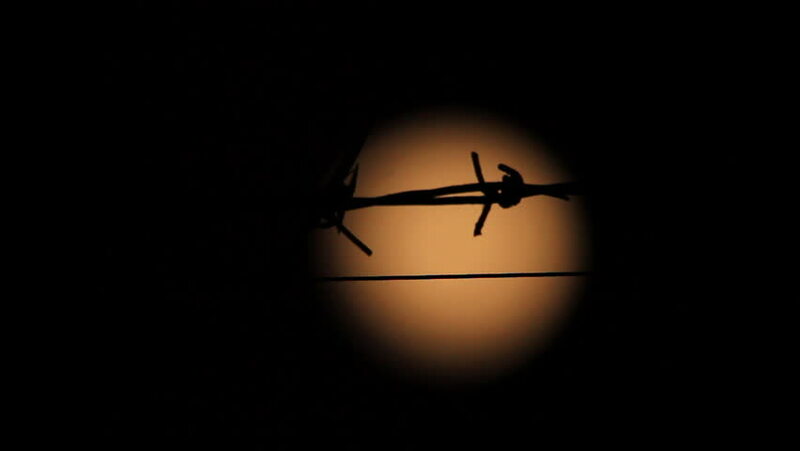 Rack focus between barbed wire and a cloudy moon. The Moon is full and rising at the beginning of the evening, the air is clear and there is great detail on the moon. hd00:09Time Lapse Sunrise with Single Wind Turbine - 3D Animation Illustration.